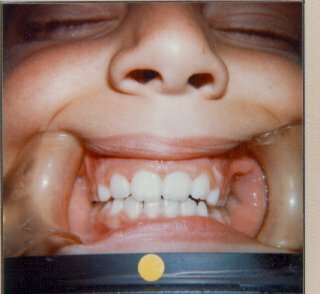 Here are two pictures of teeth we'd like to see as the child grows up into an adult. These are brand new permanent teeth. Most of the permanent teeth form in the first few years of life. Some of the prenatal fluoride seems to carry over, but generally it is wise to continue fluoride during infancy and childhood. 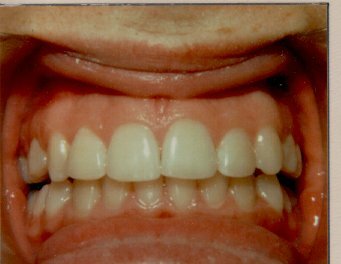 This is a full set of permanent teeth. (The lighting is a little different).